High-quality content makes businesses more discoverable online. Yet not every business has the budget or the bandwidth to create the quality or quantity of top-notch content that satisfies Google’s algorithm. Enter user-generated content marketing. User-generated content (UGC) has become an important tool in every marketer’s belt. And while some marketers might think it’s a fleeting trend, there are plenty of statistics to suggest otherwise. UGC ads get 4X higher click-throughs than traditional ads. 93% of consumers say UGC is helpful when they’re making purchasing decisions. UGC campaigns bring 29% higher conversions than those without it. Brand engagement goes up by 28% when brands offer their users a combination of UGC-created videos and professionally created videos. User-generated videos on YouTube get 10x more views than content offered up by the same brand. First, what is User-Generated Content? User-generated content is just what it sounds like: content created by users, aka customers, and then shared on social networks. The content can be photos, text, videos and even memes. When businesses combine UGC with contests and giveaways, they often see astounding results. Big brands like Coca-Cola, Starbucks and Lay’s have run UGC contests that got millions of entries. But businesses of any size can also create fun, engaging UGC contests and collect insights about their users. 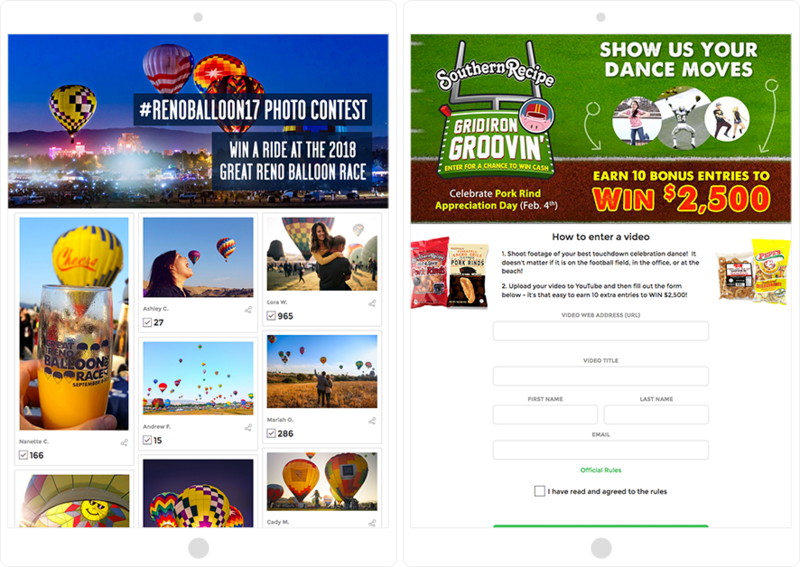 You can also use a UGC contest to collect content to use for future marketing campaigns, so don’t think it takes a massive budget to hit a UGC home run. Why is User-Generated Content Suddenly so Popular? Retailers like Anthropologie, West Elm and Urban Outfitters are using UGC brilliantly. On Anthropologie’s website, the retailer shows their professionally styled and shot images right alongside images their customers have shared. Of course any dress is going to look great on a model who’s five-feet, nine inches tall and a size four, but how will it look on a “real” person? Customers can see a dress both ways and then decide. How Can Brands Use User-Generated Content in Their Marketing? Any business in the hospitality industry — including hotels, restaurants and bars — could learn from National Geographic. 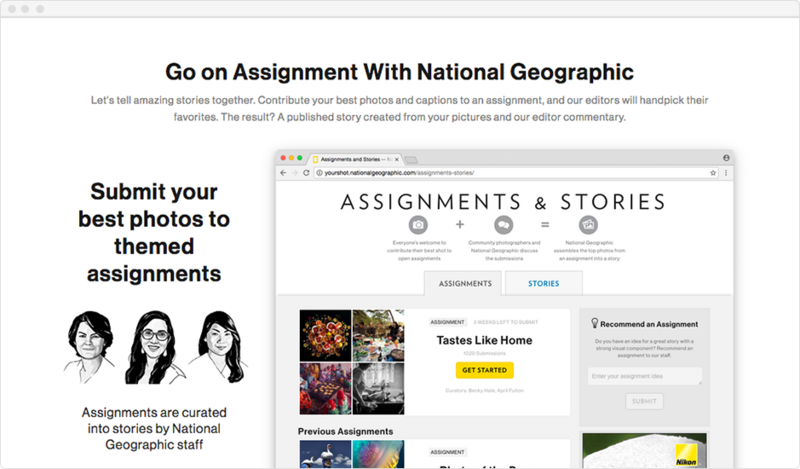 National Geographic encourages people to share their photos with Nat Geo for the chance to be featured on the brand’s website and in their magazine — reward enough for plenty of people. Even if you don’t have the cache of a brand like National Geographic, you shouldn’t shy away from collecting content created by your customers. One of the ways to incentivize them? Offer a prize! For years brands like GoPro and Apple have featured user-generated photos and videos in their marketing campaigns and, it’s safe to assume, made billions of dollars from it. The bottom line is that consumers — people like you and me — like to see what products looks like, and how they’re used, in the real world instead of in a studio. Starbucks scores year after year with their red and white cup contests, by asking their customers to doodle on their cups and then share (sharing is key to successful UGC marketing) photos or videos of the cups on social media. Starbucks rewards the people who create the “best” cups with a gift card and in exchange, Starbucks owns the rights to their designs. GoPro does virtually the same thing, encouraging people to film everything from their outdoor adventures to their “squad goals” and then enter the video in a GoPro challenge for the chance to win some cash. Of course, GoPro then owns rights to all that footage and can use it to market their cameras. So now that you understand the power of user-generated content marketing, it’s time to strategize about how to collect your own UGC. Contests that award cash, products, services or offer recognition (like National Geographic’s efforts) are one of the easiest ways to collect original content from your customers and followers. If you add a voting element to your contest, people who submit their content are also likely to share their entries with their friends in order to collect more votes. 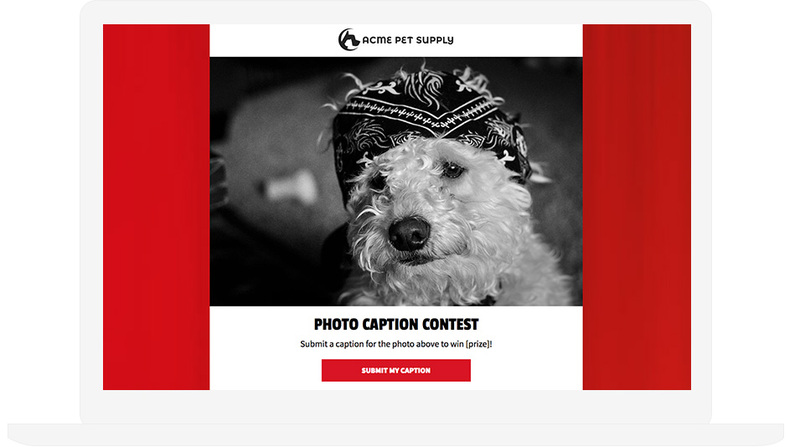 Here are two contests built with ShortStack that collect user-generated content. Featured on the left is a Photo Vote Contest. On the right is a Video Vote Contest. Ready to build your own user-generated content contest and collect photos, video, reviews, etc. from your followers?